The National Museum of Racing and Hall of Fame will present a symposium on Sunday, Aug. 19 featuring accomplished women involved in various aspects of thoroughbred racing. Comprised of seven of the most recognizable women in the sport — Hall of Fame jockey Julie Krone, Hall of Fame trainer Janet Elliot, champion steeplechase jockey Blythe Miller Davies, record-breaking trainer Linda Rice, iconic owner/breeder Charlotte Weber, industry leader Stella Thayer and top racing analyst Gabby Gaudet — the panel will be moderated by longtime television commentator Charlsie Cantey. The symposium begins at 10 a.m. in the Museum's Hall of Fame Gallery and is open to the public and free to attend. Janet Elliot: A native of Ireland, Elliot became only the second woman inducted into the Hall of Fame and the first woman trainer enshrined in 2009. An assistant to Hall of Famer Jonathan Sheppard for 11 years, Elliot went out on her own in 1979 and has trained some of the top steeplechase horses in the game, including Eclipse Award winners Flat Top and Correggio. She ended Sheppard's 18-year run as the leading money-earning steeplechase trainer in 1991 and led all steeplechase trainers in wins that year. Elliot topped all steeplechase trainers in earnings for a second time in 1998. She won the inaugural Breeders' Cup Steeplechase in 1986 with Census and won that race again with Flat Top in 2002. Gabby Gaudet: An on-air analyst for the New York Racing Association, Gaudet is the daughter of trainers Eddie and Linda Gaudet and sister to trainer Lacey Gaudet. She began her career as an analyst and paddock reporter for the Maryland Jockey Club while still a student at Towson University in 2013. In addition to working at Laurel Park and Pimlico Race Course, Gaudet has since covered racing at Arlington Park, the Breeders' Cup and Gulfstream Park. She joined NYRA for the first time prior to the 2016 summer meet at Saratoga Race Course and took on an expanded role the following year. 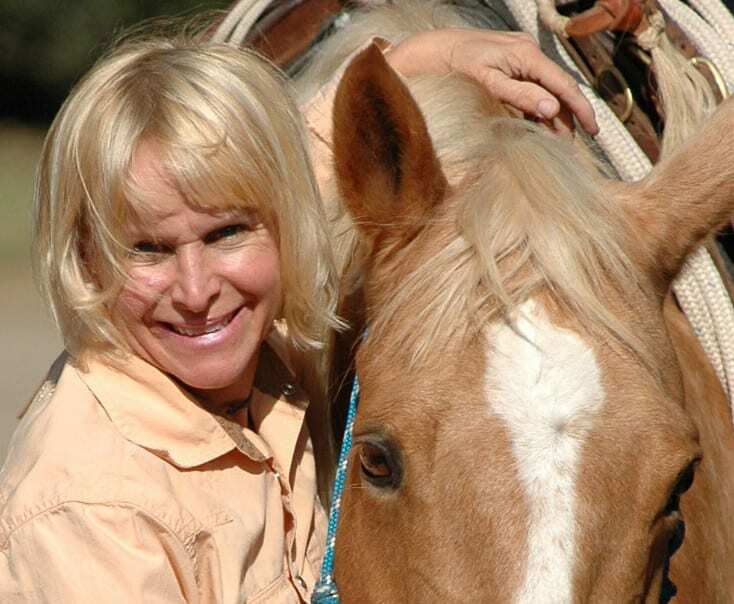 Julie Krone: The first woman inducted into the Hall of Fame in 2000, Krone is the most successful woman jockey of all time with 3,704 wins and purse earnings of more than $90 million. She became the first woman to win a Triple Crown race when she piloted Colonial Affair to victory in the 1993 Belmont and the first to win a Breeders' Cup race when she rode Halfbridled to win the 2003 Juvenile Fillies. Krone won 22 Grade 1 races in her career, including the Pacific Classic, Hollywood Derby, Malibu Stakes, Carter Handicap, Shuvee Handicap, Meadowlands Cup, Ballerina Handicap, Man o' War Stakes, Sword Dancer Handicap, Vosburgh Stakes, Queen Elizabeth II Challenge Cup, Frizette Stakes and Flower Bowl Handicap, among others. Miller Davies, daughter of trainer Bruce Miller, rode five-time champion and Hall of Fame member Lonesome Glory, two-time champion Flat Top and champion All Gong, as well as NSA Grade 1 winners It's A Giggle, Campanile, Victorian Hill and Uptown Swell. In addition to her father, she rode for Hall of Fame trainers Jonathan Sheppard and Janet Elliot, among others. Charlotte Weber: Owner of the 4,500-acre Like Oak Stud in Florida, Weber has enjoyed success as an owner and breeder for 50 years. A member of The Jockey Club and a vice president of the National Museum of Racing and Hall of Fame, Weber has campaigned numerous top horses, including Breeders' Cup Mile winner and champion turf horse Miesque's Approval and Grade 1 winners My Typhoon, To Honor and Serve and Zo Impressive. Live Oak earned a second Breeders' Cup win in 2017 when World Approval won the Mile. World Approval is a half-brother to Weber's other Mile winner, Miesque's Approval. Charlsie Cantey: One of the most recognizable broadcasters in American racing history, Cantey was an analyst for ESPN, ABC Sports, CBS Sports and NBC Sports throughout her distinguished career. Cantey began her broadcast career in 1975 at New York's WOR-TV on the weekly programs Racing from Belmont, Racing from Aqueduct and Racing from Saratoga. From 1977 to 1986, Cantey served as a CBS contributor for NFL, NBA and horse racing coverage. From 1985 to 2002, Cantey was a reporter and analyst for Racing Across America for ESPN. She joined ABC Sports in 1986 and was an integral part of its racing coverage until joining NBC Sports in November 2000 as an analyst for its coverage of the Breeders' Cup. She worked for NBC for five years, retiring after the 2005 Breeders' Cup. Cantey covered the Triple Crown races for 17 consecutive years. This entry was posted in People and tagged Blythe Miller Davies, Charlotte Weber, Charlsie Cantey, gabby gaudet, janet elliot, Julie Krone, Linda Rice, national museum of racing and hall of fame, stella thayer, women in racing by Press Release. Bookmark the permalink.